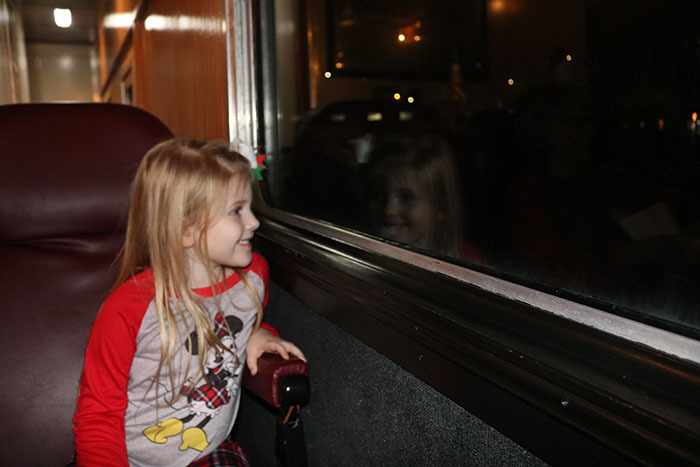 The Polar Express Bryson City at the Great Smoky Mountain Railroad was such a magical experience and is a must to add to your Christmas festivities! 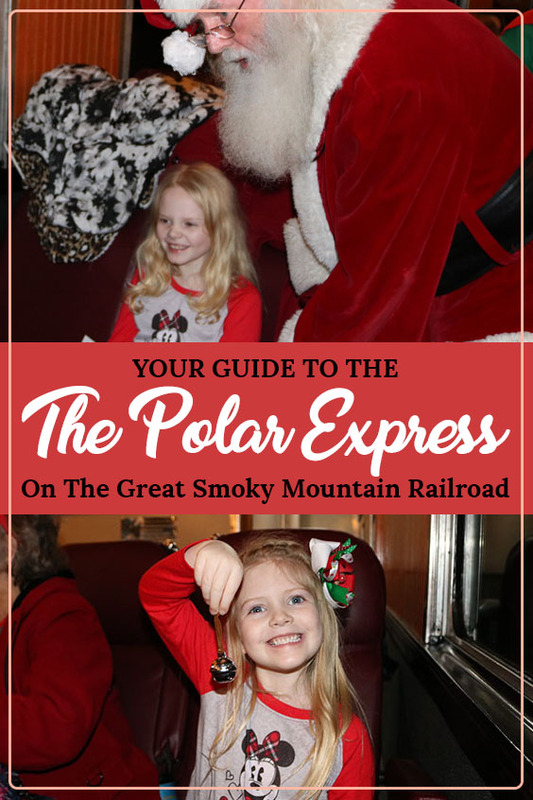 When planning to take the girls on the Polar Express Bryson City at the Great Smoky Mountain Railroad I read so many conflicting reviews that I wondered if it was worth the drive and the cost or not. I finally decided that there was only one way to find out and booked the trip. I am SO glad that I did! Simply put, yes it is worth it. It is not a trip I would do again, however I would try out some of their other trips. 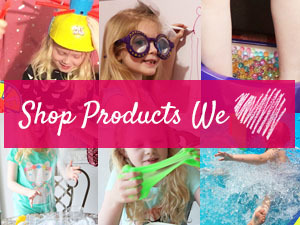 But it is a trip you definitely need to add to your bucket list if you are nearby and have young kids. 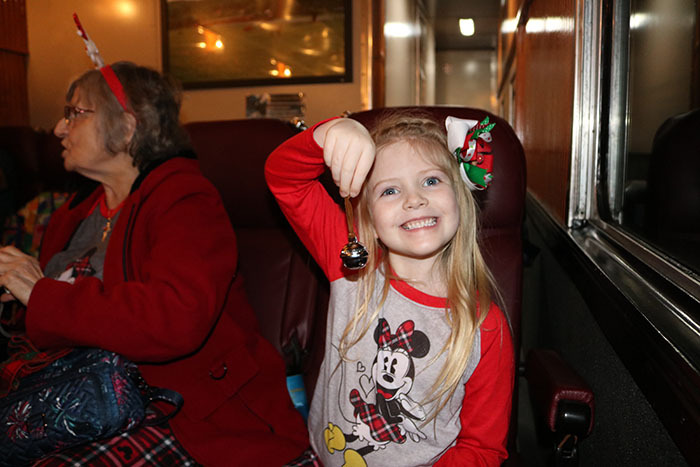 The main reason why you should take your kids on the Polar Express Bryson City is because it is magical for them. My older daughter Olivia is about to be 9 and on the verge of thinking she is too old to enjoy a fake trip to the North Pole. 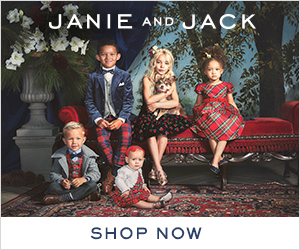 Let’s face it, at her age, she is smart enough to know that we aren’t going to the real North Pole. However, this candid shot when Santa came by speaks for itself. Try as she might, she still couldn’t help but to feel the magic of it all. But for Abigail, who is 5, everything was real to her. The smile and excitement never left her face. To her, it was as if we were in the movie. 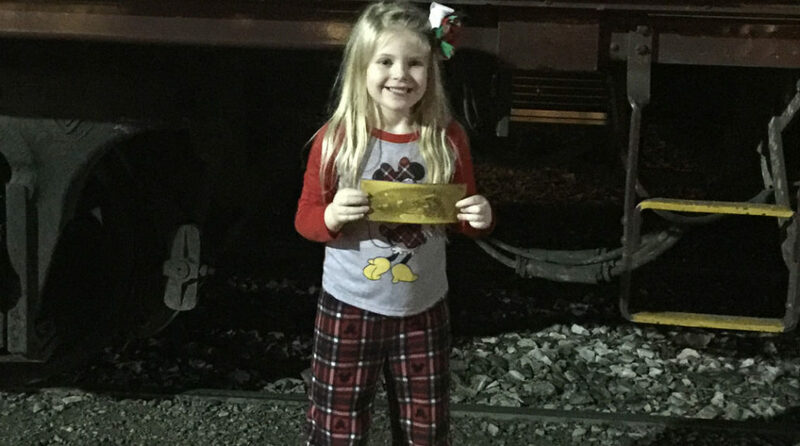 Although she was very glad her ticket didn’t get lost or that she didn’t have to climb on top of the train and that the train stayed on the tracks the entire time. She was a little concerned about those after watching the movie the night before. They incorporated so much from the movie as well. 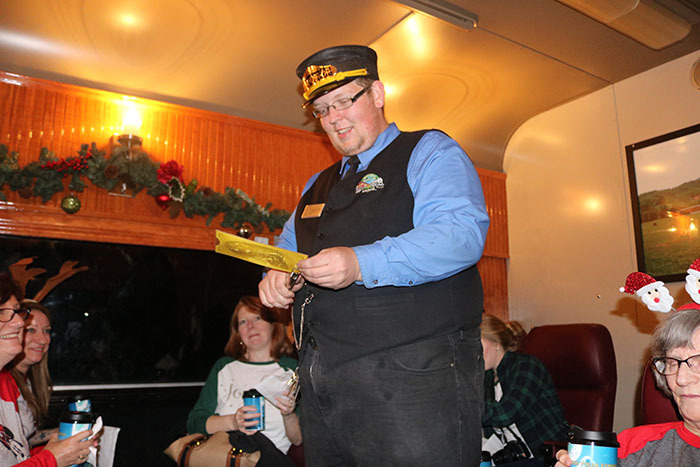 From the conductor who punched crazy holes in the tickets, to the chefs who danced and served hot chocolate and cookies to the infamous hot chocolate song. Of course, the back flips were missing, but we’ll let that slide considering the isles were pretty narrow. 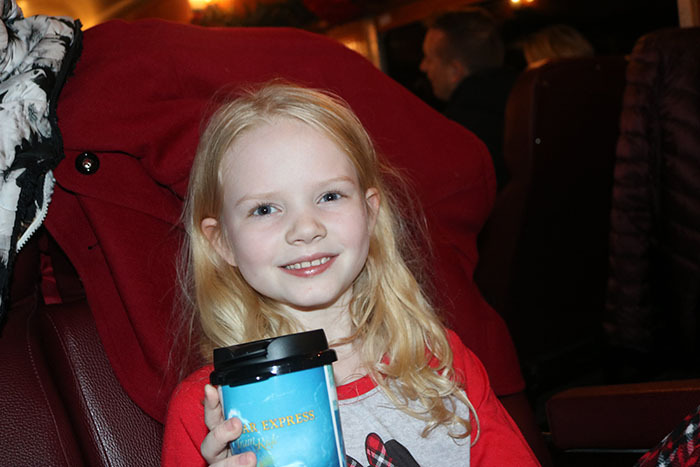 Your hot chocolate comes in your very own travel mug so you don’t have to worry about spilling it. You also get to keep the mug. If you are in first class, you also have tables. We chose to do the crown class and had plenty of room and were comfortable with the seats. We are glad we chose to do the night train. When you drive through the North Pole, everything is covered in lights and feels so much more magical because of it. 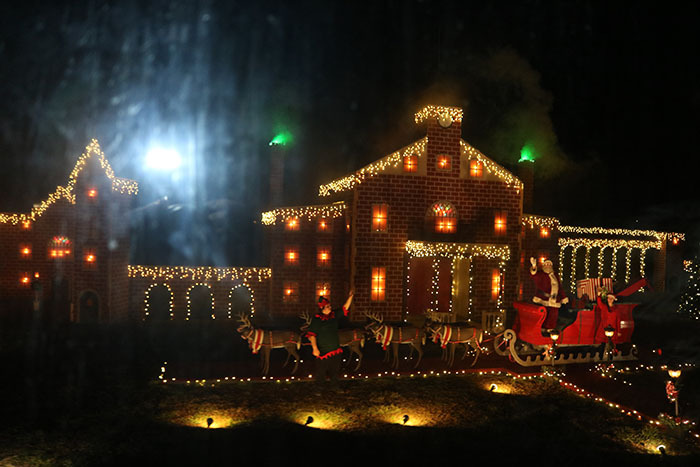 The train will drive you by Santa’s workshop, his house, the chapel where he and Mrs. Clause married as well as many other monumental places they will point out. I feel like if you went during the day, it may not seem quite as “real” as it does all lit up. 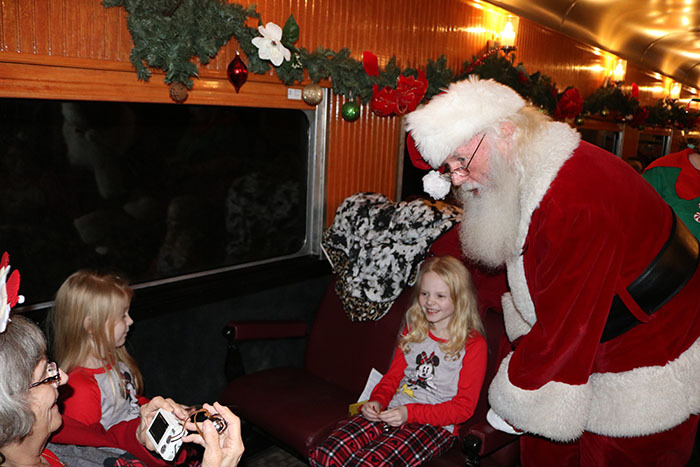 As you leave the North Pole, Santa sneaks on to the train!! Another bonus to going on the night train is it is perfectly acceptable to all go in pajamas!! If you are traveling and need a place to stay for the night, we love using Airbnb! You can find great places to stay, at a great price. If you are are not familiar with Airbnb, you can read about our experience here. 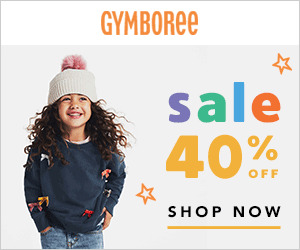 They are also offering a $40 off coupon for first time users! 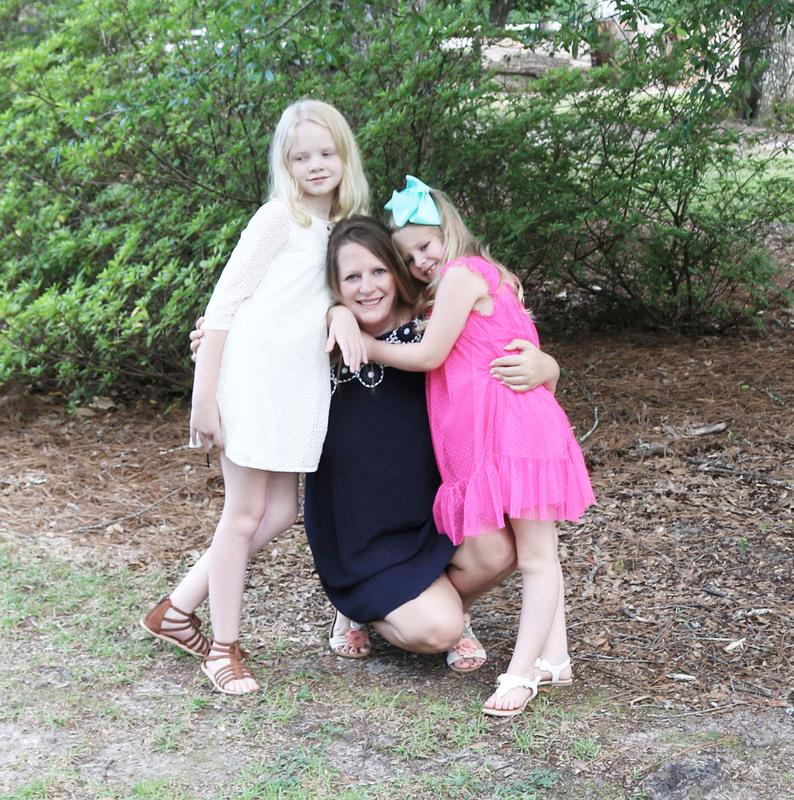 **Tip – Come early for your train (even if you are in your pajamas, you won’t be the only one) because the train is located in a cute little town with cute stores and places to eat! 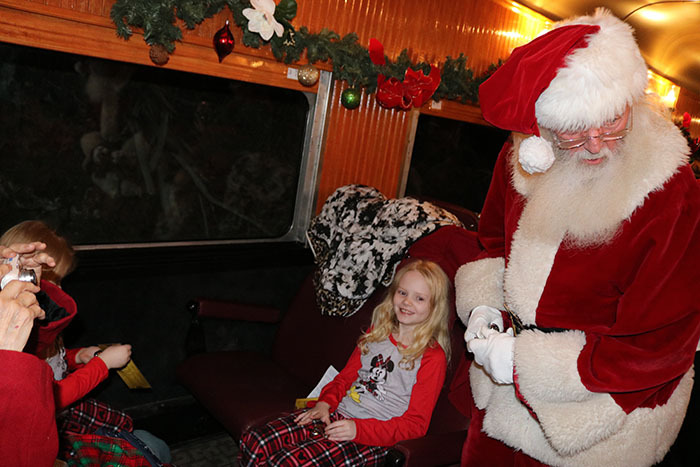 Have you been on the Polar Express Bryson City at the Great Smoky Mountain Railroad or any other location? 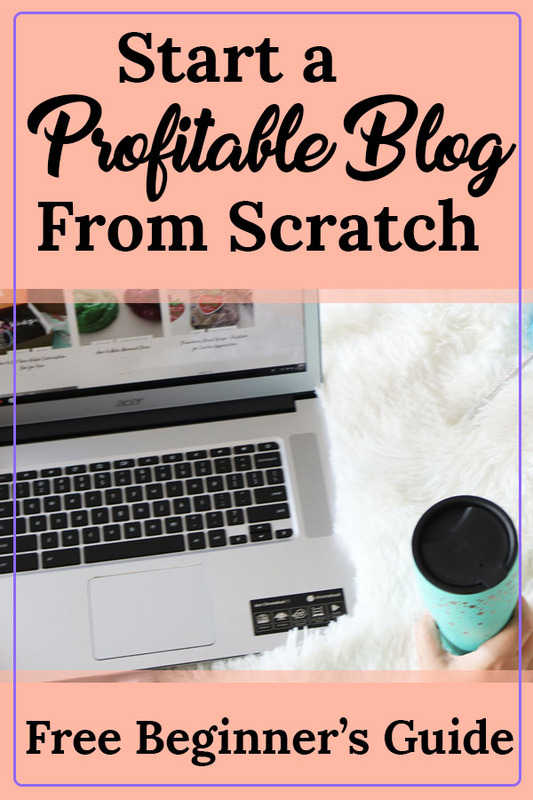 I would love to know your thoughts about it! Previous Article Previous post: What’s in My Ipsy Glam Bag for December? There is something magical about trains and this just looks like fun. It was so much fun! So glad people continue to create experiences like this. This looks like such a fun excursion. I will have to keep this in mind for the future. Kids, schmids. 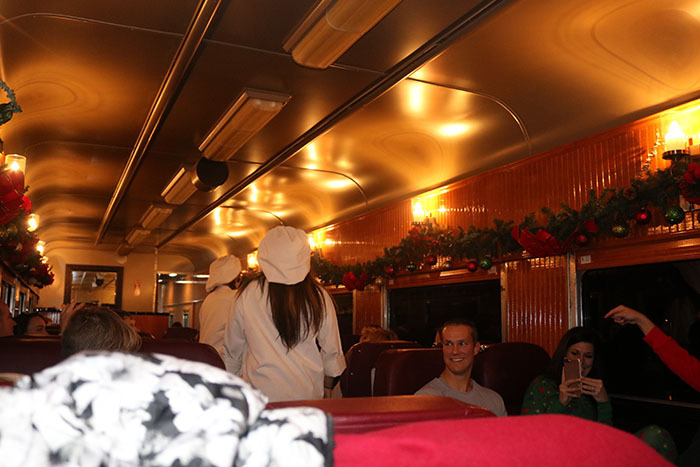 *I* want to ride the Polar Express! LOL. I especially like the night train PJ’s approach. 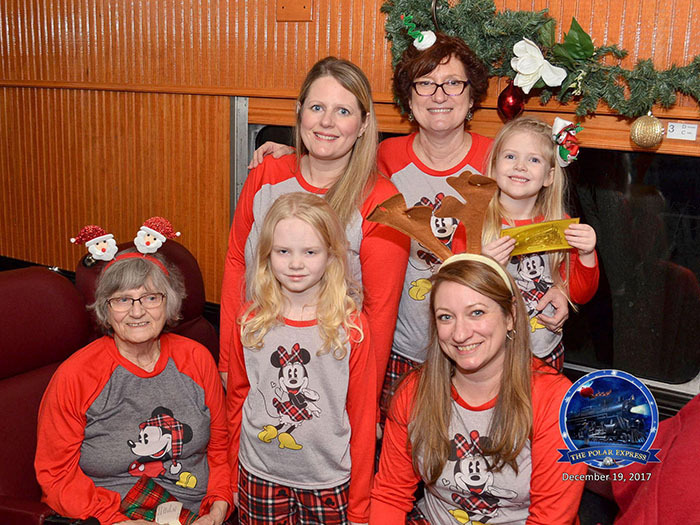 This is such a cute family Christmas tradition!!! It’s so cute at night and one more way to get into the spirit. I love your matching pajamas too. Brilliant, glad she had a good time, it’s a lovely thing to do at Christmas time. I love the Polar Express film and never tire of watching it.